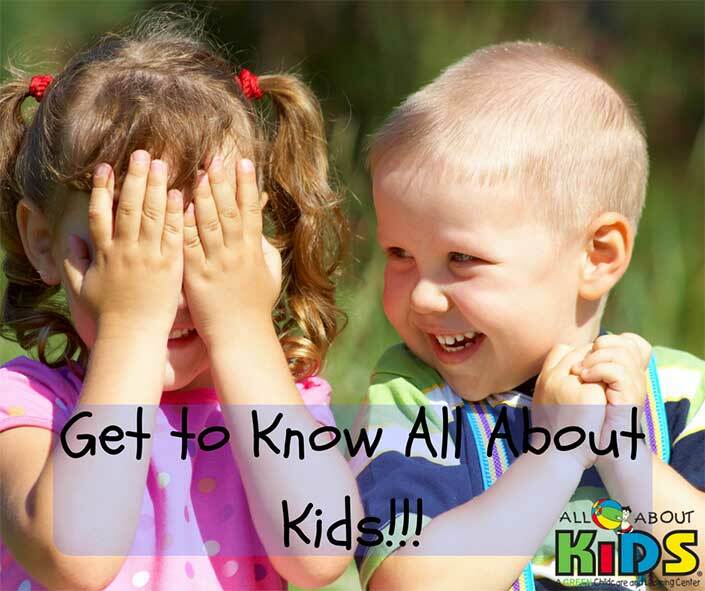 Before we talk about what makes our Lewis Center location so special, we want to share a few details about the All About Kids philosophy. Jean Piaget was a clinical psychologist and pioneer in the field of child development. One of the most important findings of Piaget’s career was that children learn best through play. That’s why All About Kids puts play at the center of everything we do. Whether a child is 6 weeks old, 12 years old or anywhere in between, they will truly enjoy and benefit from the hands-on learning experiences we provide. We take our role in helping children develop their social, emotional, cognitive and physical skills very seriously. That’s why we have a specific curriculum for every age group, as well as the overall guiding principles of the Constructivist theory. The core tenet of this theory is that the emphasis of learning is placed on the learner rather than the teacher. Since it is the learner who interacts with objects and events, we’re able to use play in many different ways. The reason play is such a powerful learning tool for children is it’s self-motivated, freely chosen, process oriented and fun. The benefits that come from this type of activity are initiative, individuality, and autonomous thinking. In today’s world, those traits are absolutely crucial for long-term success and happiness. By combining play with teacher facilitated activities such as circle time, music, movement and group activities, we’re able to provide an incredibly enriching experience for every child who comes to our All About Kids Childcare and Learning Center. We encourage you to take a look at all of our different activities. Greg and Gail Davis, who are the owners of All About Kids in Lewis Center, both graduated from the University of Cincinnati. Gail has been in the teaching industry for over three decades, while Greg’s company has been the contractor for thirteen All About Kids locations. Our Lewis Center Childcare and Learning Center is staffed by an amazing team, who you can read about on our bios page. By choosing All About Kids in Lewis Center, you can be confident that your child will learn through play. You will also be able to watch your child flourish whenever you want thanks to our use of the WatchMeGrow video system and mobile app. If you have any additional questions about All About Kids in Lewis Center, you can easily reach us by calling 614-505-3399. And if you want to visit our Childcare and Learning Center, you can do so by scheduling a tour online.